These are good quality basic ratchet handle and Fitted with a spinner allowing quick turning by hand. 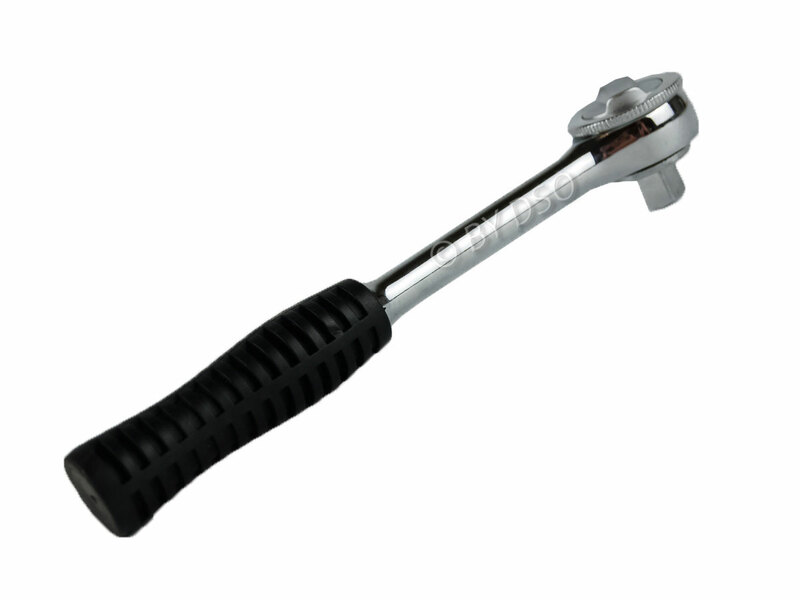 Drop forged, heat treated and chrome plated construction and Fitted with rubber handle for extra grip and comfort. Ideal for The Home, Garage Workshop, Metal/Wood Workers, Builders, Car Mechanics, Hobbyists, and DIY Enthusiasts, etc. Spinner for ease of use.